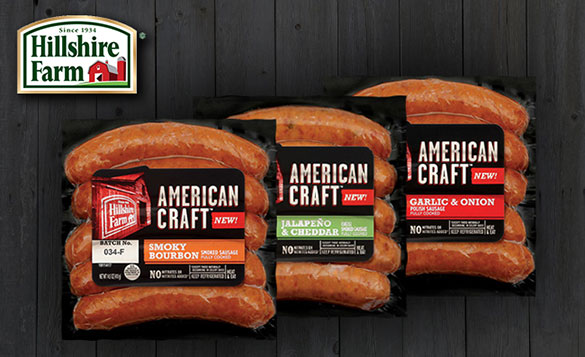 The goal Hillshire Farm wanted to accomplish was to lift purchase intent and raise brand awareness for Hillshire Farm American Craft link sausages. 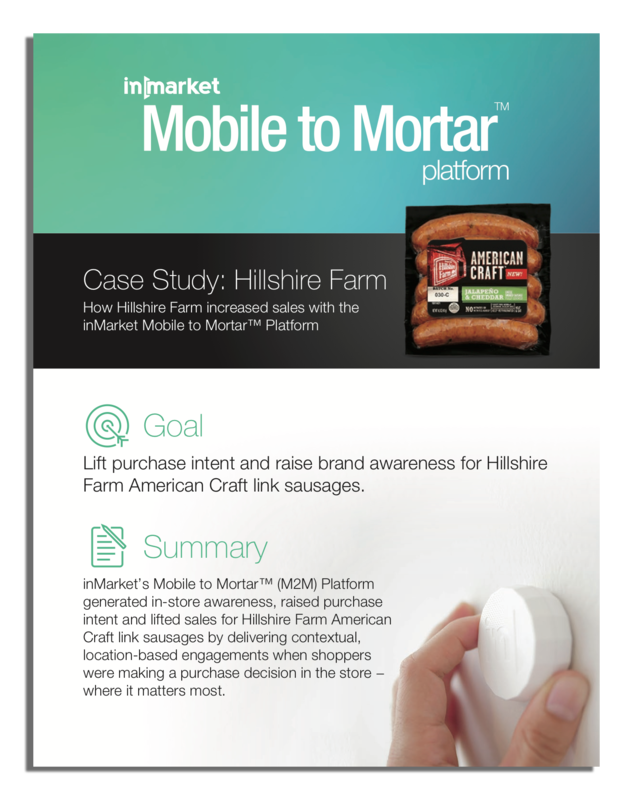 inMarket’s Platform generated in-store awareness, raised purchase intent and lifted sales for Hillshire Farm American Craft link sausages by delivering contextual, location-based engagements when shoppers were making a purchase decision in the store − where it matters most. 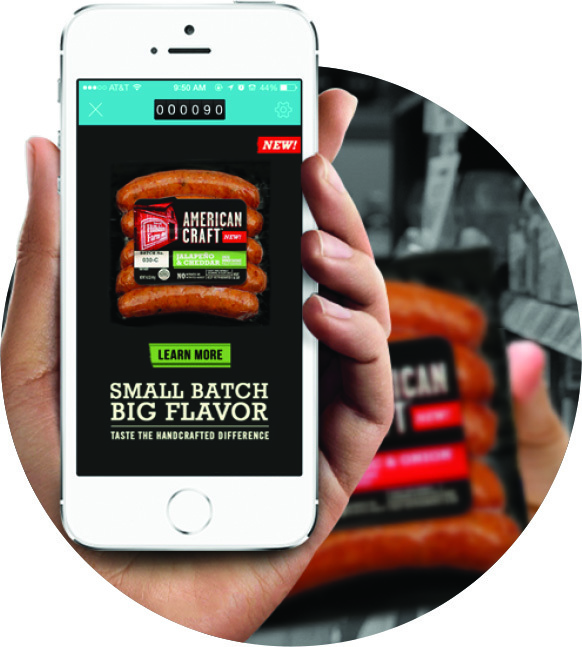 inMarket deployed Hillshire Farm creative messaging to its industry-leading beacon proximity scale (50MM monthly active app users in thousands of major retailers), engaging the audience at the precise moment they entered a store. 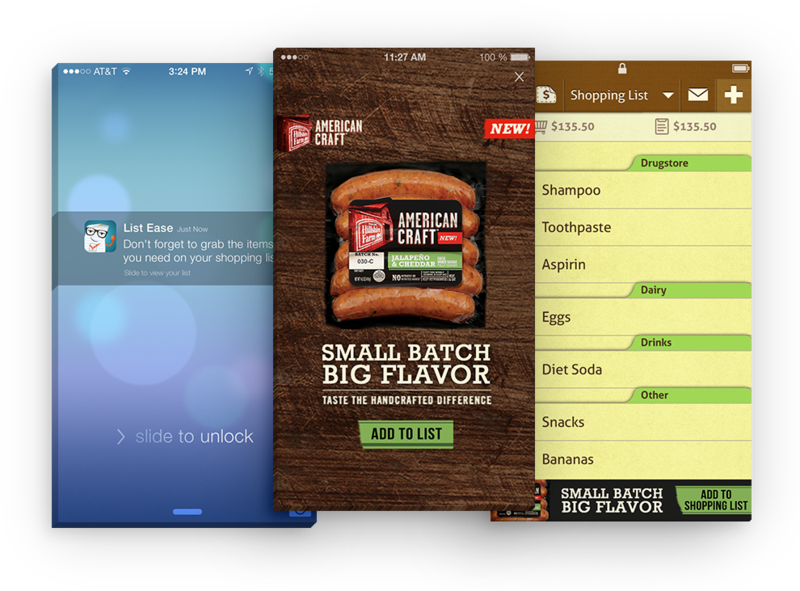 Upon entering a store, engagements were deployed to initiate the mobile moment, native, in-app engagements designed to remind the shopper of the Hillshire Farm brand. inMarket also drove rewards-seeking shoppers to pick up Hillshire Farm products off the shelf and experience the brand with their own hands. inMarket dramatically increased purchase intent by 20x for Hillshire American Craft, delivering over 194,000 engagements and over 9MM brand impressions. 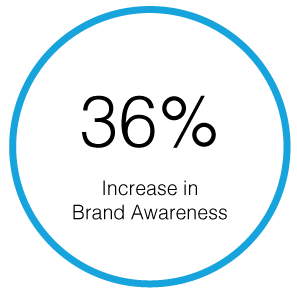 The campaign also resulted in a 36% increase in brand awareness. 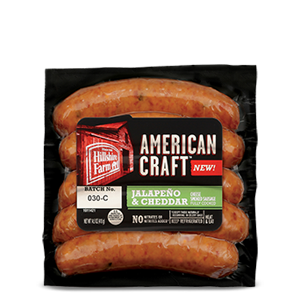 inMarket generated in-store awareness, raised purchase intent and lifted sales for Hillshire Farm American Craft link sausages by delivering contextual, location-based engagements when shoppers were making a purchase decision in the store − where it matters most.